My favorite comic character of all time is getting a game that looks to be worthy of his legacy. We saw a lot of gameplay from E3, and the game is looking gorgeous. Mechanically, it looks like the Batman Arkham games, but with an amazing swing mechanic thrown in. Which is totally fine with me. It looks like Spidey is facing not only the Sinister Six, but Mister Negative as well. Sign me up. 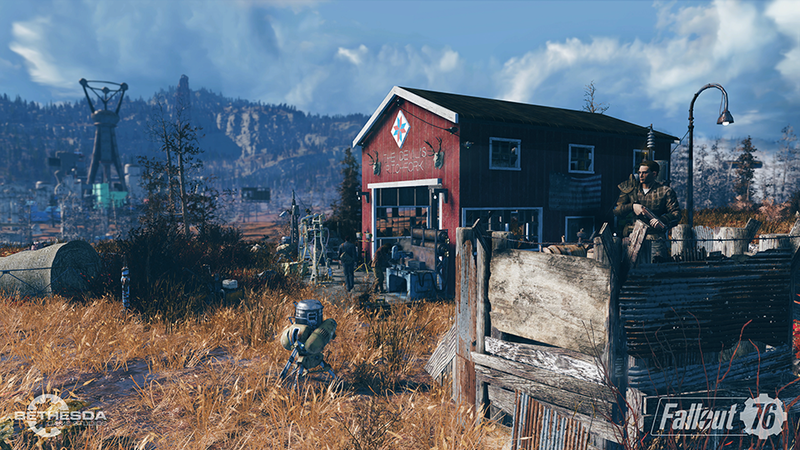 Set well before the recent Fallout games, this new installment looks to be more like an online multiplayer game than a traditional RPG. Between the multiplayer and the crafting elements, this looks like a mix between Elder Scrolls Online and something like 7 Days to Die. As a fan of both of those games, I’m looking forward to this one. I have never really been into this series, but somehow Nintendo still found a way to get me totally pumped for this game. A lot of games toss around the “Ultimate” tag, but bringing together every single character from all of the previous entries seems pretty ultimate to me. So that’s our top three E3 games for the remainder of 2018. Let us know what your faves were, and stay tuned for a look at what we’re excited about for 2019!